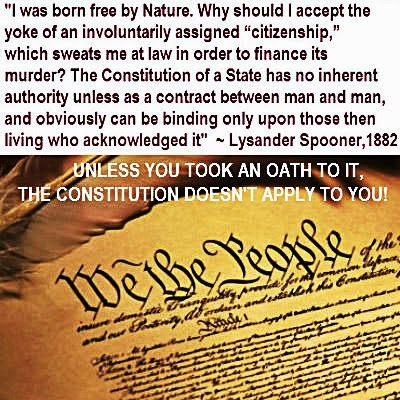 Not a Person or Citizen: Constitutional Authority ? Why in the Constitution, are the words 'People' and 'Posterity' capitalized? Before that question is answered, take note of this definition: a capitonym is a word that changes its meaning (and sometimes pronunciation) when it is capitalized, and usually applies to capitalization due to proper nouns or eponyms. Are "We" then considered to be one of "We the People"? Answer: When the authors capitalized these words (capitonym), the meaning was changed to reflect a particular group of "People" and the "Prosperity" was for the authors' future generations, not ours. This simply means that the U.S. Constitution may only apply to those who have sworn an oath to uphold it. Have an issue with that? - see the definition of 'cognitive dissonance'. This is NOT suggesting that the INTENT of the authors' wasn't honorable. However, when dealing with CONTRACT LAW - all facets must be thoroughly studied. Definition of CONSTITUTION, contracts. The constitution of a contract, is the making of the contract as, the written constitution of a debt. 1 Bell's Com. 332, 5th ed. Definition of CONSTITUTOR, civil law. He who promised by a simple pact to pay the debt of another; and this is always a principal obligation. Inst. 4, 6, 9. It purports, at most, to be only a contract between persons living...And it can be supposed to have been a contract then only between persons who had already come to years of discretion, so as to be competent to make reasonable and obligatory contracts. Sovereignty is a word sign pointing to a HUGE concept; so huge in fact that the span of influence of what that word is pointing to . . . is not just eternal but also infinite. In simple terms, it means having supreme authority to author one’s life, i.e. to be the principle architect of one’s life, liberty and the pursuit of happiness. Sovereignty is not just a freedom but it is a personal responsibility not to be subservient to anyone … not to be an agent of some “alleged” higher power … but to be of the Principle (Latin, principium meaning to be the first) of one’s destiny. Due to our soul’s sovereign origin, the core essence of each and every human being is sovereign. Nations and leaders are not and never have or can be sovereignly independent from the sovereignty of the community of humans. Governments are always agents of the people, regardless as to how they may erroneously function or the forms they may take. 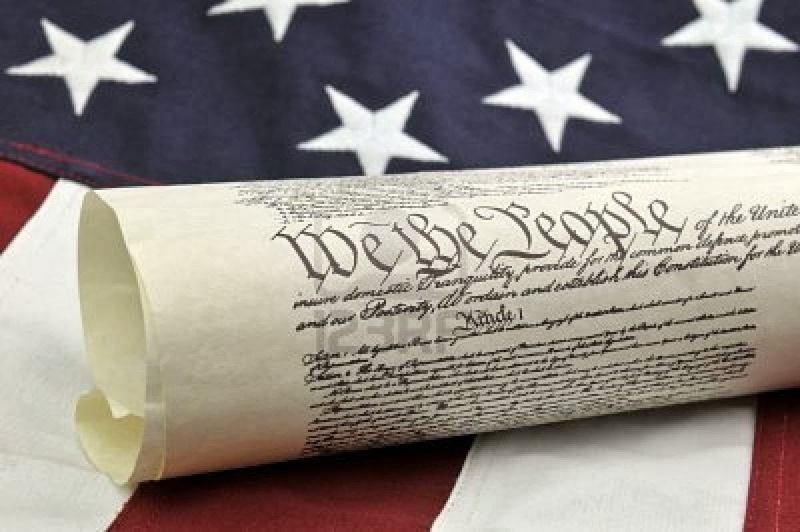 Thus, the constitution is NOT the “Source Causation” of our freedom but rather is merely a paper mirror to remind each of us to deeply reflect upon that fact that I AM FREE to act out MY WILL according to the Principle constructs of the time, space and energy of all eternities. We are under the control of hypocrisy. This hypocrisy reigns in the Vatican via the banned Jesuits. The Aristocracy and Gentry (minor aristocrats) sold out the Common Man and his sovereignty. We must throw off the yoke of Roman Imperialism via their subjects the British Empire. http://www.constitutionallaborparty.com/ The Constitutional Labor Party calls for the end of the Class System and its Central Banking currency control. United States notes in the form of fiat currency based on production is what brought the Colonists to their state of prosperity. The Constitutional Labor Party is not political and not in the business of making deals with Corporatism which are nothing more than barriers for actual free enterprise. United we stand. Thank you for taking the time to look at the ideas which I have embraced.